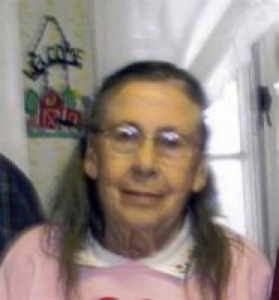 Dorothy Lucille Epperly, 87, 7844 State Route 66, Fort Loramie, Ohio died at Heritage Manor Nursing Home, 24 North Hamilton St., Minster, Ohio on Wednesday, September 17, 2008 at 8:45 AM. She was born July 6, 1921 in Piqua, Ohio the daughter of Lee and Jennie (Ford) Jess and they are deceased. She was married January 1, 1940 to Lloyd W. Epperly and he died December 9, 1985. Surviving are three children, Kelly L. and wife Ann Epperly of Anna, Ohio; Lloyd E. and wife Dianna Epperly of Wapakoneta, Ohio and Harold R. Epperly of Fort Loramie, Ohio; seven grandchildren, James Allen and wife DeLynn Epperly of Wapakoneta, Ohio; Polly Ruedebusch of Wapakoneta, Ohio and fiance, Fred Broud of Sidney, Ohio; Kathy and husband Tony Manning of Durham, North Carolina; Debbie and husband John Wallace of Pickerington, Ohio; Kelly Allan Epperly of Anna, Ohio; Melissa and husband Dan Johnson of Wapakoneta, Ohio and Heath Epperly of Fort Loramie, Ohio; ten great-grandchildren; two brothers, Robert L. and wife Essie Jess of Piqua, Ohio and Harold E. and wife Anna Jane Jess of Troy, Ohio and one sister, Marie and husband Don Trostel of Troy, Ohio; one son, Don Epperly and five brothers and one sister are deceased. She was a 1939 graduate of Houston High School, Houston, Ohio. She was a member of the Shelby County Farm Bureau, was a 4-H advisor for the Buckland White Featherettes for nine years; member of the Senior Citizens of Sulphur Springs, Ohio and a member of the Shelby County Draft Horse Club; member of Calvary Chapel Baptist Church in Minster, Ohio. Her and her husband had owned the DORLOY Holstein Farm in Fort Loramie, Ohio. Funeral services will be held on Saturday, September 20, 2008 at 10:00 AM at Salm-McGill and Tangeman Funeral Home with Pastor Greg Ewing. Burial will be at Fort Amanda Cemetery, Fort Amanda, Ohio. Friends may call at Salm-McGill and Tangeman Funeral Home in Sidney on Friday, September 19, 2008 from 6-8 PM. Memorial contributions may be made to the Heritage Manor Nursing Home, Activities Department, 24 North Hamilton St., Minster, Ohio 45865 or the American Heart Association, PO Box 163549, Columbus, Ohio 43216-3549. Envelopes will also be available at the funeral home.